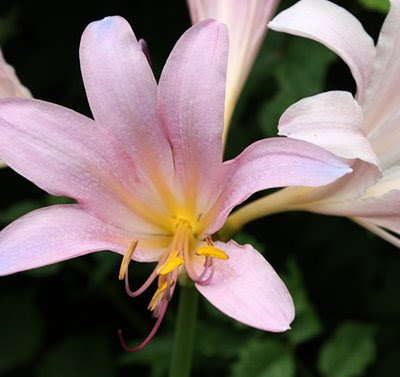 The belladonna lilies (amaryllis belladonna) are in full bloom in the garden. They shoot up from the ground on tall bare stems, hence their provocative nick-name. They are deliciously beautiful, and they thrive in our hot southern summer weather.